The rock and roll pub where Keith Moon got barred! 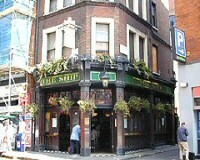 Description: This is the Soho pub that legendary Who drummer Keith Moon was barred from after letting off a smoke bomb. This is also where Bernie Rhodes (manager of The Clash) stressed to the band that he had to have 'complete control' in the running of The Clash. The band enjoyed this and Joe Strummer wrote 'Complete Control' afterwards. Allegedly this is the pub namechecked in dance classic Born Slippy by Underworld. 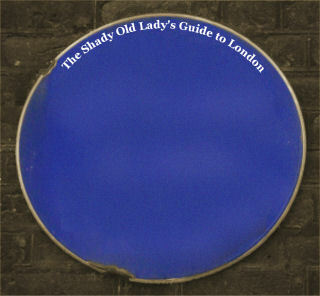 It has also been frequented by the likes of John Lennon, Syd Barrett, and Jimi Hendrix. It was badly damaged in World War II but restored to former glory in the 60's.